Maitreya Mountain Village is a permaculture community advocating sustainable living. 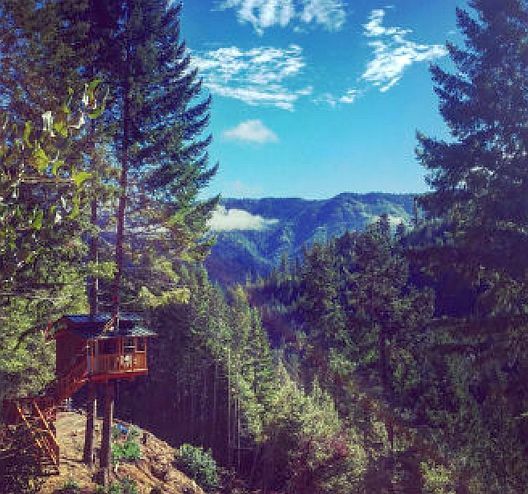 It is located in the mountains of California. 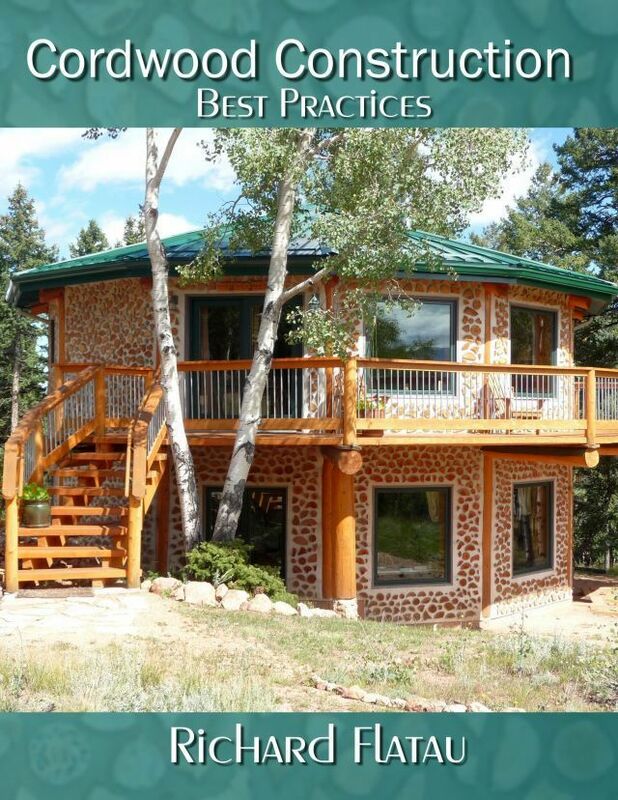 The community has built many different structures using natural building principles. 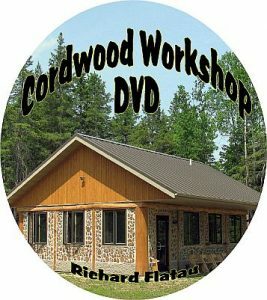 Here is an example of cordwood siding using a dark background and Western Red Cedar for the cordwood slices. 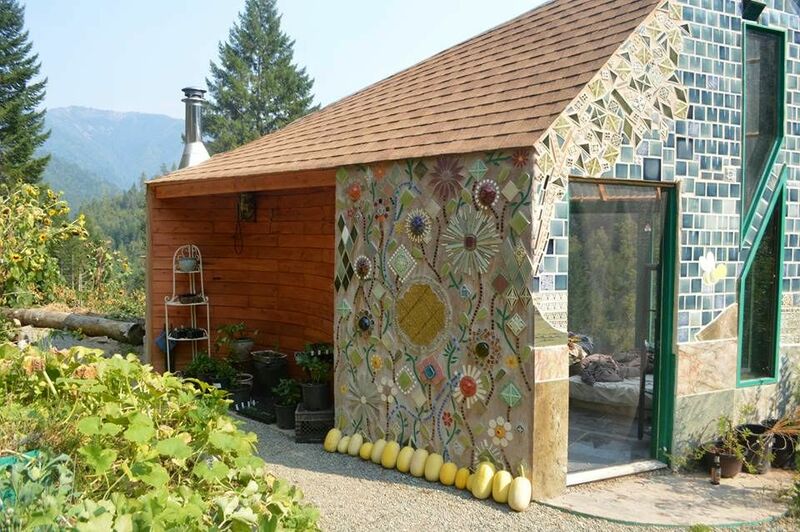 The “statement of purpose” from their Facebook page reads: “A remote wilderness permaculture farm, off-grid homestead, dynamic intentional community, and ever-evolving experiment in alternative living near Gasquet, CA.” www.facebook.com/MaitreyaMountainVillage Below is their beautiful multi-faceted tile community center. As you can see, the mountain views are spectacular. 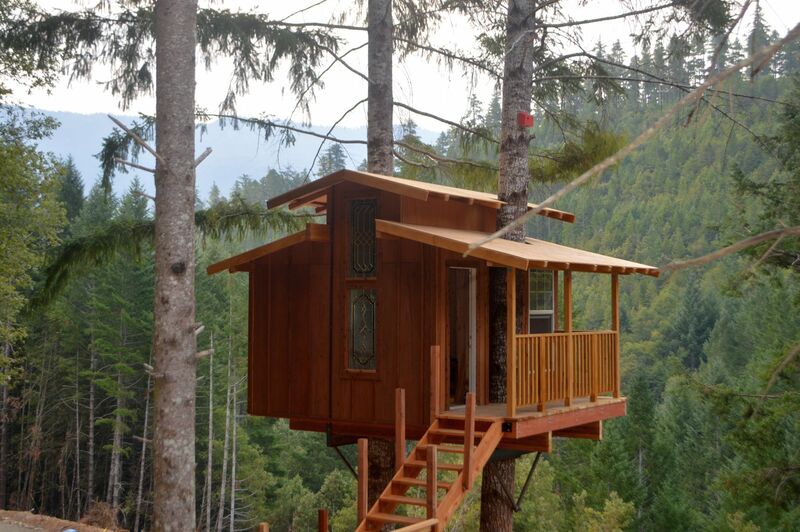 The treehouse is a masterwork of design and a window on a birds-eye-view of the surrounding countryside. 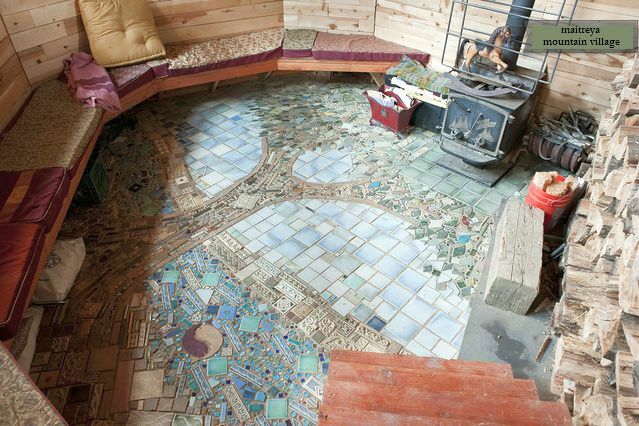 The floor of the community meeting house is both functional and beautiful. A wood stove takes care of the early morning chill. 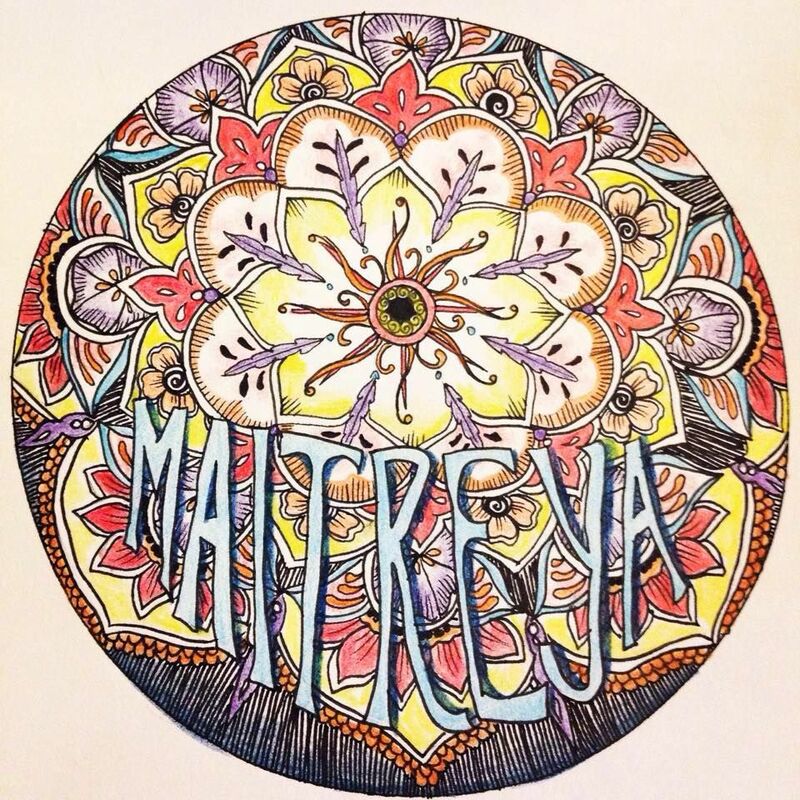 To find out more or to plan a visit their website: https://www.maitreyamountainvillage.com/ All I can say is WOW! 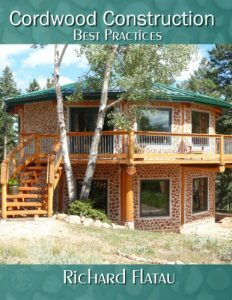 Or click on the book cover to see more pictures of cordwood (the home on the cover looks out at Pike’s Peak in Colorado).